Health and beauty products are developed to help individuals. Manufacturers go through rigorous development and testing before releasing their products to market. There are also numerous governmental quality regulations that manufacturers must follow. Counterfeiters of successful branded products have little regard for consumer safety or governmental oversight. Do you want to put your brand and your customer’s loyalty to the test when these counterfeits are nowhere close to the quality of the real product? Your brand is just as important as the product itself. Health and beauty customers are extremely loyal to the brands they trust. As counterfeiters become more savvy, they develop fakes that look exactly like the real thing. They then distribute those products in legitimate and semi-legitimate channels. Counterfeit health and beauty products divert revenue, introduce consumer safety risk, and threaten brand loyalty. 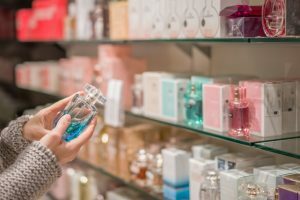 Traditional anti-counterfeiting techniques for the health and beauty industry typically involve additive elements to the products packaging, for example, special seals and marks. What if we could empower the consumer to easily verify if a product is legitimate or a fake? Putting the power of authentication into the hands of potentially millions of users. Systech has introduced a solution that meets these key emerging requirements. Systech transforms your existing package into an intelligent data collection and verification solution. Systech UniSecure—a cost-effective, non-additive technology solution— derives a unique fingerprint that can identify each and every package based on the item’s barcode. Using a simple smart-phone app, consumers and/or inspectors can then authenticate products throughout the supply chain wherever they are in the world. Learn more about UniSecure in this short video, or contact us for more information on how to protect your brand.